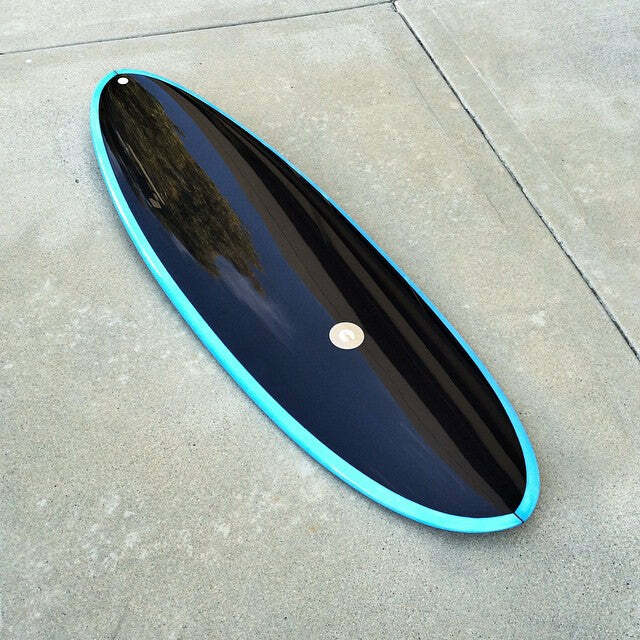 Full round nose, low entry rocker, deep single concave to vee, round tail, low, drivey tail rocker. This board is a blast – really, really fast – skates all over the wave, can be driven off the back foot or trim & glide off the front foot as well. Does well in a variety of conditions, but really suited for knee to head high surf. A very efficient paddler, moves through the water likes its greased up. Can be ridden in a variety of sizes from a short little stub, up to a fuller mid range egg. Works as a single fin, thruster, quad or bonzer. 5’4“ x 19.5” x 2.32"